In May 2014, with two suitcases, I boarded a train in Manchester bound for my new home in Aberdeen for two months. 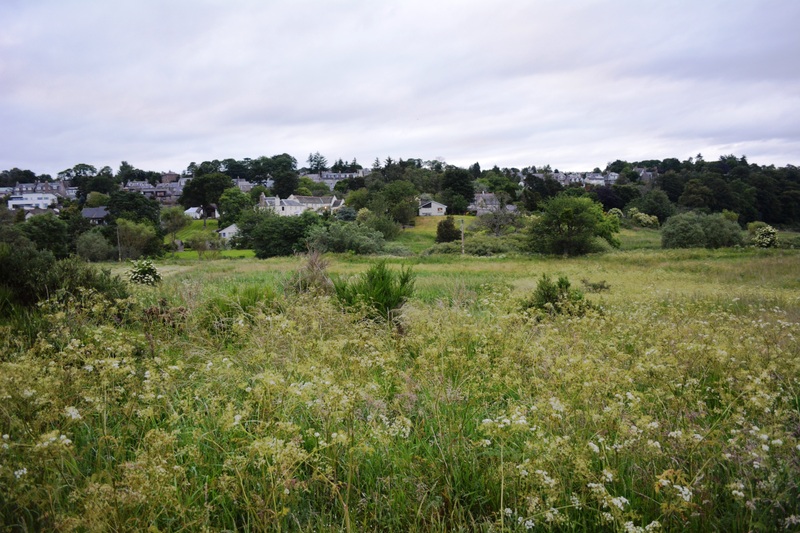 Through ethnographic work, I was hoping to learn the kinds of things that go on in Peterculter (also known as Culter), a village on the edge of the city. What might people do every day for instance, in their work, their leisure, with whom and where? What are their concerns about community, their city, their country, the world? My starting point is Raymond Williams’ (famous academic, novelist, critic, political activist) premise that Culture is Ordinary (1958/2002), written to emphasise that culture as a ‘common resource of meaning’ (in Highmore 2002:91) is produced through the actions and institutions of everyday life, as well as those of ‘high’ learning and more formal culture. For the UEP project, street life, shopping and playgroups may tell us as much about participation in the everyday, as more familiar ways of describing participation, such as statistics on theatre attendance. My work started when I left Piccadilly station in Manchester. There’s no direct train to the Granite City, so it’s Preston, Edinburgh and then Aberdeen. Seems crazy – there’s a lot of oil rig workers who make the journey from Manchester and northwards who could do with not lugging their bags on and off trains. Wouldn’t it make sense to have a straight train from the (deindustrialised) north west of England to ‘the oil’ of north-east Scotland? On my way I encounter a potential UKIP voter about to cast her postal vote in the European elections, sitting across the table from a nurse of Sierra Leonean heritage who works in the NHS. The voter, in event management and on the way to Glasgow with a partner to organise a technology event, had until recently worked as a magician’s assistant and dancer on ‘the cruise ships’. These brief encounters with the fragmentation and globalisation both of the labour market and the political landscape also have implications for understandings of participation. We reach the Scottish Lowlands and I start to feel alone: I’m about to be the ‘stranger’ in a ‘strange’ village, to be both ‘insider’ and ‘outsider’. Memories of home come through the taste of French cherries from the shop down the road in Manchester, aromatic, perhaps the best I’ve ever tasted. I notice out of the train window that the rivers are very full. Edinburgh Haymarket and it’s the oil train to Aberdeen… there’s a lot of rig workers who get on here from the English north-east with their kit bags. Offshore, whether yacht or rig, you don’t ever carry suitcases – they take up too much room. One young guy I meet is going up for an interview: he’s paid over £200 for his ticket. An East Coast regular tells us that this train is always so full that he and his fellow travellers have made up a song about it. It’s been a beautiful journey today: first the Lakes, then the Scottish Lowlands and now the Firth of Forth…exciting passage across the water. 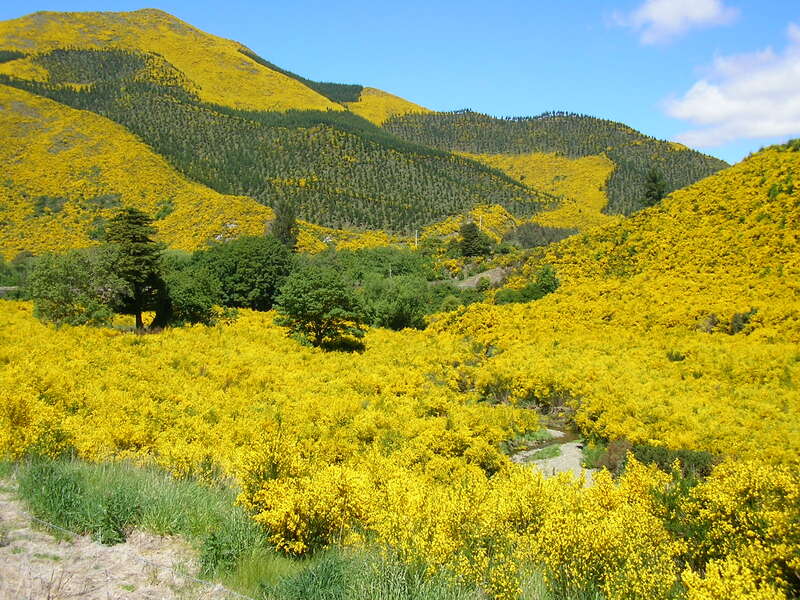 Hillsides are golden with broom flowers. We go through Inverkeithing, Dalgety Bay and Aberdour and the train is running right by the coast. The woman sitting opposite has ‘the oil’ in her family – her daughter’s boyfriend is training for a career offshore. The train speeds on up the coast: estuarine birds on the foreshore, sandy beaches, little harbours, the remains of industrialisation. Leuchars, and the sun comes out…clouds scudding across the sky…lots of people leaving the train with lots of luggage. It’s Dundee and we’re just crossing the Tay Bridge – thrilling to be seemingly ‘flying’ over the water. The woman in the seat across from me lives in Peterhead and works at an engineering firm making valves for the oil industry. She comments that ‘everything is oil’ and we go on to talk about Scottish independence and the decline both of ‘the fish’ and of traditional diverse shopping streets in Peterhead. Out of the window I like the symmetry of a well-ploughed field. Near Montrose I see a wind farm and an interesting church spire: there are big skies, nothing to impede the view. In the river, a man is fly-fishing in waders. The conversation near me is about the cushiness of prison life and cells. Hmm. The coastline is beautiful, wild and dramatic, as we near our destination. At Stonehaven, there’s a golf club and a graveyard overlooking the sea…now coming into Aberdeen…cows, sheep, horses, fish and…oil. The writing and analysis now begins, after an amazing and profound experience participating in a community of which I knew nothing until this year. I’m so thankful to all whom I’ve met and talked with. It’s been a privilege to be a ‘guest’ in the village. As I mentioned, my ethnographic work began when I boarded that train northwards in May. 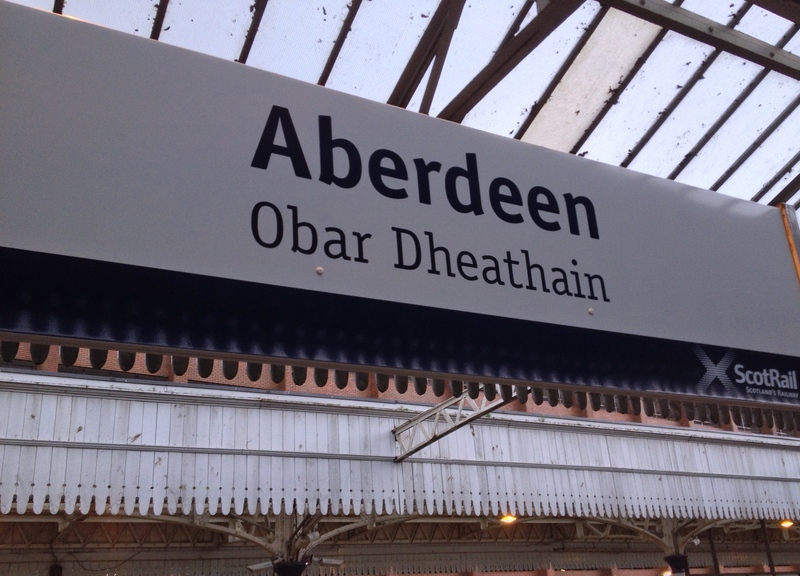 Many of the encounters that I had on my journeys seemed to highlight the complexity of analysing social relations in everyday lives, something that I needed to think about during my work in Aberdeen. I realised how easy it is to make simplistic political judgements: I felt the need, rightly, to demonstrate my solidarity with the nurse in the face of UKIP ideologies across the table on the train. But then I chatted with the potential UKIP voter, who was trying to make a good life with her boyfriend, presumably (and mistakenly) thinking her vote might help in that endeavour. It occurred to me that UKIP is very good at articulating a kind of ‘common sense’ in the Gramscian interpretation. That is ‘… not something rigid and immobile, but (is) continually transforming itself’ (Gramsci, cited in Adamson: 150) and which masquerades as ‘the voice of the people’, using the signifiers of pub and pint as a framing device. Since ‘common sense’ is ‘fluid and potentially volatile’, then we might want to understand how it shapes, and is, or can be, shaped by participation in work, leisure, the political process. This idea of ‘common sense’ is both critiqued and elaborated through Williams’ idea of ‘structure of feeling’. Stillo (1998), articulates Raymond Williams’ ‘definition of culture, as a language of co-operative shaping’, and ‘of common contribution’. This ‘shaping’ and ‘contributing’ is made possible through everyday practices of participation. Williams’ work around ‘structures ’of feeling’ (1977), provides a useful means of analysing the social lives and place-ness of Culter, and thus participation therein. Bourne Taylor (1997) suggests that, ‘Williams first used this concept to characterize the lived experience of the quality of life at a particular time and place’ and Taylor et al (1996:5) said that it can be examined through ‘the routine and taken-for-granted “social practices” that characterise(d) the social formation’. Such ‘lived experiences’ and ‘social practices’ lie at the core of UEP’s research. 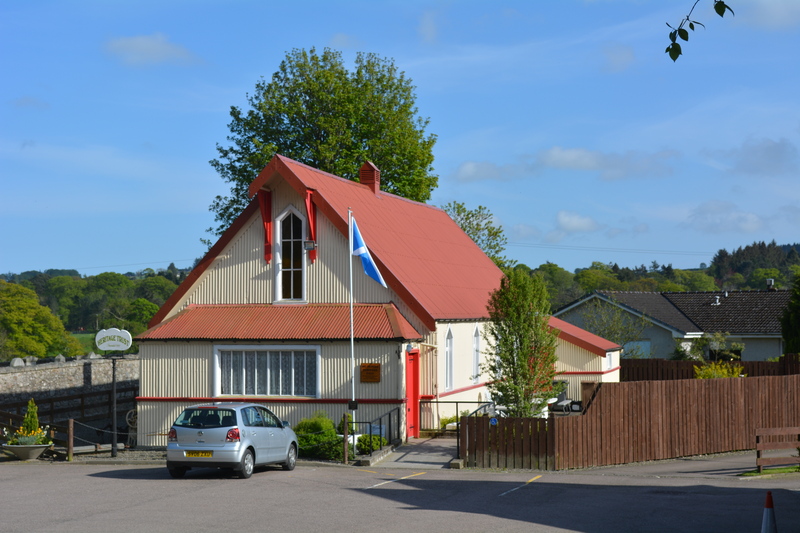 I spent time as an ethnographer in the village hall, the social club and a ‘sports and country club’, seeing what went on, talking with people about Culter as a place to live, work and play, and generally sharing their everyday routines. There’s a lot of participation here: people in the village, (especially, but not solely, women) donate their ‘free time’ in pursuit of what they feel is the ‘common good’ of keeping the village and its institutions afloat. Volunteer baking for afternoon teas served by volunteers every Saturday and Sunday at the Heritage Hall exemplifies this. Baking ‘teams’ each provide and serve all the food for up to four weekends a season (April-September), whilst others organize the rota and ensure clean linen and crockery. 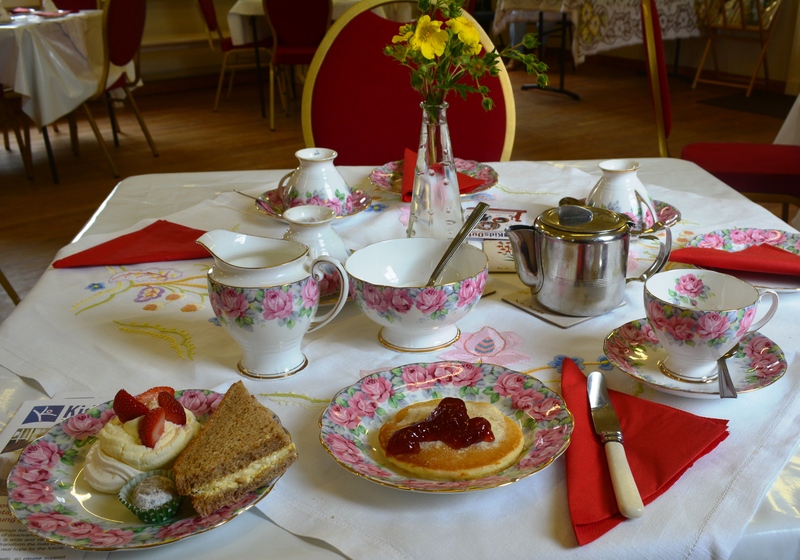 This is proper afternoon tea, open to all, with starched tablecloths, bone china teacups and home-made shortbread, and particularly convenient for those walking or riding the Deeside Way, the former railway line, now a cycle and pedestrian route running from Aberdeen to Ballater. Underlying most discussion in Culter is ‘the oil’, which is everywhere here: people most often describe it as living in a ‘bubble’. 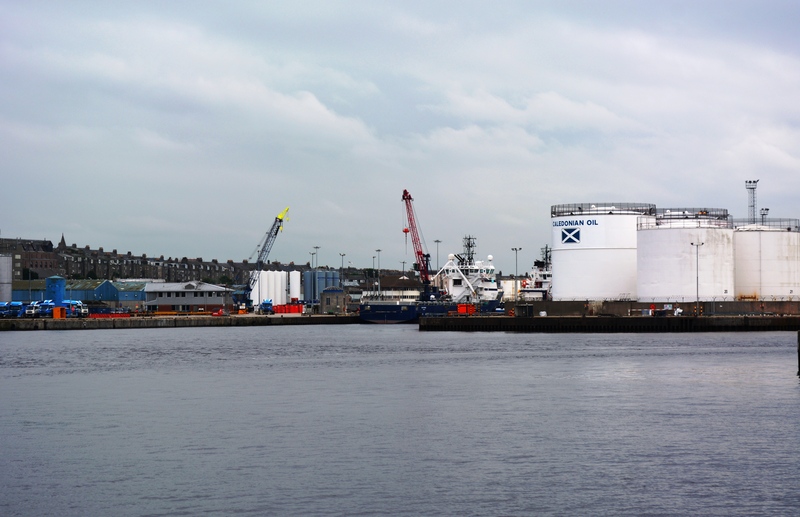 Some salaries in the oil and gas industry are significant, leading to house prices in and around Aberdeen reaching London levels. The particularity of these industries means that men (and it is generally men) often spend time away from their partners and/or families, offshore, abroad or in London. This impacts on social relations in the village: some women spend a great deal of time on their own and have to find alternative support networks. For others, the large salaries of the oil industry are a million miles away from their experience. The low-waged service economy is as undervalued here as much as the rest of the UK: huge earning disparities mean that inequality in Aberdeen is all the more marked. McGuigan and Moran (2014), in their rearticulation of Williams’ work, point to the way in which he discusses and analyses culture, but not as a separate sphere from the economic. The ‘economic’ and the ‘cultural’, as they point out are ‘intertwined’ and ‘co-constitutive’. This has particular resonance in Aberdeen, where ‘the oil’ is perhaps ‘excessively determining’. They emphasise the materiality of culture and stress the importance of understanding that neither culture nor ‘the economic’ has primacy in any analysis of the social world, but admit that ‘Today… in the Williamsian sense of ‘setting limits and ‘exerting pressures’…no other contemporary logic has such a powerful shaping effect on every field of social practice as does the logic of capitalism’(2014:183). An understanding of the economic as well as the cultural specificities of Aberdeen is thus imperative for us to properly understand participative practices.